International tourism in the Philippines reached its all-time high in 2017 with 6.6 million foreign tourists, according to an article released by the Department of Tourism. Events such as the Association of Southeast Asian Nations Summit and Miss Universe Pageant certainly made an impact on the tourism industry last year. The local tourism industry is also seeing a lot of action. According to a Philstar online article, 60 million Filipinos visit local tourist spots every year. Basically, we all know that the travel, tour, and accommodation industries are doing well. But have you ever thought of how much customer persuasion can Google provide and how can a competent digital marketing in the Philippines breathe a new life to the algorithm? 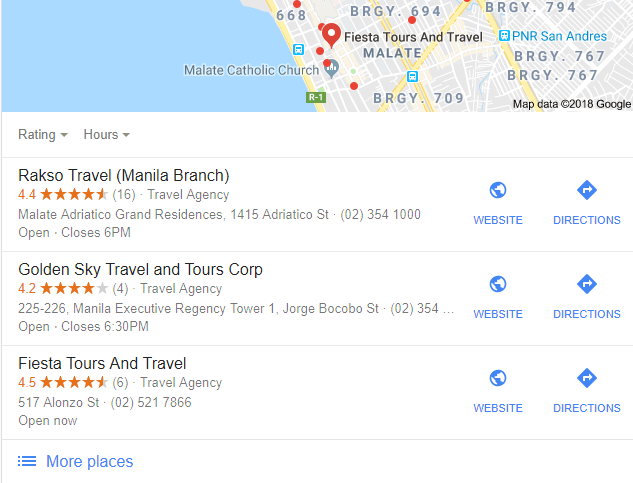 Travel and tour agencies made it to our list of top 8 industries that should invest in search marketing in the Philippines, especially for best beaches in the Philippines, diving, and vacations. 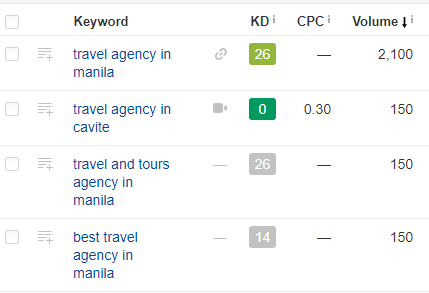 I mean if your site is doing well for popular tourism keywords, what would that mean for you? 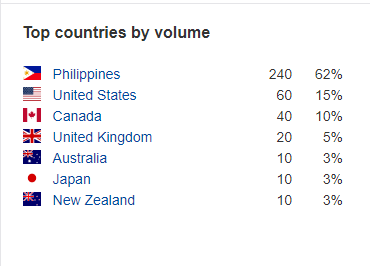 We see that it’s mostly the locals who are looking for travel and tour agencies online, followed by the US and Canada. We see that many are typing in these keywords below. 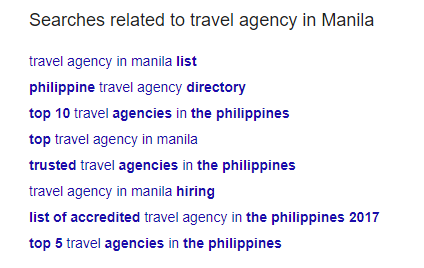 As of now, “travel agency in Manila” takes the crown for the most searched keyword. If you want to know more about searches relevant to your local business, please contact us for information. We would be glad to give that information out to you for absolutely no charge. It seems to be a daunting task but you can educate yourself how to do the things above by looking at Google Small Business YouTube Channel. If you want to leave it to a professional SEO Philippines company, all you have to do is get in touch with us. But really, all you need is to be determined to provide the best service out there, reflect that on your site, and things will grow for you.